New obesity treatment? Study says soak to lose weight. With each New Year, it seems everyone’s attention turns towards losing weight and getting healthy. 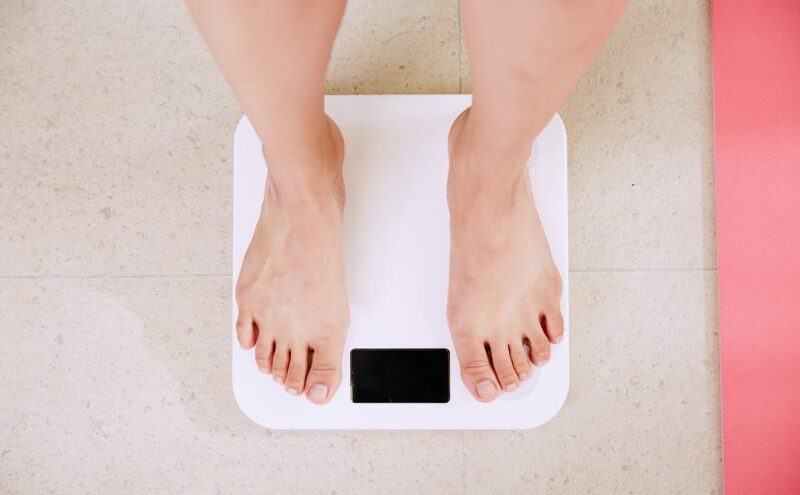 The journey to weight loss can be long and hard, especially for those who are carrying a lot of extra weight. Traditional weight loss methods usually include exercises that can be hard on your joints. When those joints have additional weight on them, these exercises can be painful. But there’s good news for those who’ve resolved to shed those extra pounds this year. 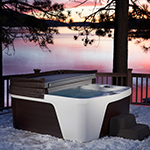 Recent research shows that simply soaking in hot tub can be help overweight women lose weight. We’re here to give you the who, what, why and how of this latest research so you can make the most of this incredible discovery. Who can this information help? The University of Oregon conducted research on overweight women with Polycystic Ovarian Syndrome (PCOS). Although this study focused on women with PCOS, the results would apply to any overweight women. It’s also assumed that the results could apply to overweight men as well. What did the women in the study do to get these results? The women soaked in a hot tub for at least an hour 4 times a week over a two-month period. During this time, samples of fat tissue were taken from each of the participants. The tissue was assessed at the beginning and the end of the study. 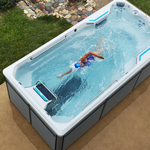 The samples collected at the end of the study showed results including reduced blood pressure, improved blood flow and improved heart rate (things we’ve long-known hot tubs help with). However, the results also showed decreased inflammation and improved insulin sensitivity. These results are particuarly significant. Why does hot tubbing bring about all of these health benefits? 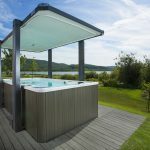 The answer lies in a protein that the study dubbed the “heat shock protein.” While you are soaking in the soothing hot water of your hot tub, your body is increasing the number of “heat shock proteins” it produces. The proteins penetrate fat tissue, decreasing inflammation. As the proteins are decreasing inflammation, they’re also working to repair damage that’s been caused to your insulin receptors. When a person’s insulin receptors are repaired, their body will start reaping the benefits of improved insulin sensitivity. The combination of decreased inflammation and increased insulin sensitivity within fat tissue produces an ideal environment for weight loss. How does this affect you? 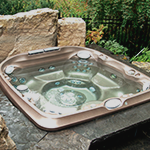 You can experience greater weight loss by enjoying a relaxing soak in your hot tub. To get these kind of results you’ll need to soak for at least an hour a day four times a week. Yes, that’s a time investment, especially if you’re driving back and forth to the hot tub at your local health club. 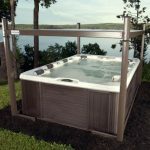 For the utmost in convenience, invest in a hot tub at home. Stop by the showroom and let our staff show you help you choose the perfect spa to help you get started on your weight loss journey today!